Running from 8-19 August 2017, in this group show three small works are shown, each a continuation of the Breathing Space series. 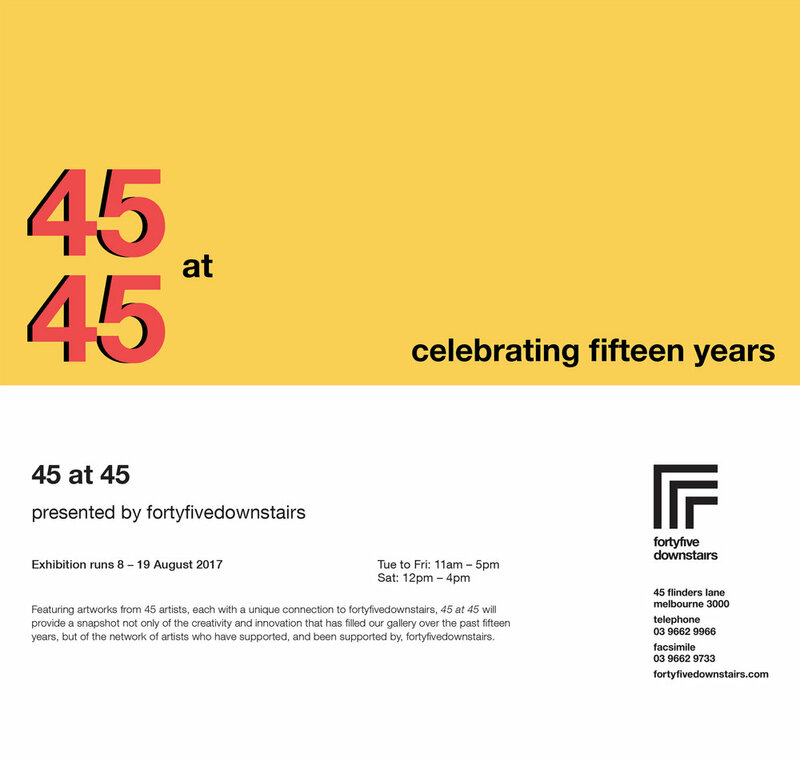 Selected as one of 45 artists with each artist having a unique connection to fortyfivedownstairs. 45 at 45 provides a snapshot of the creativity and innovation that has filled fortyfivedownstairs over the past decade and a half.